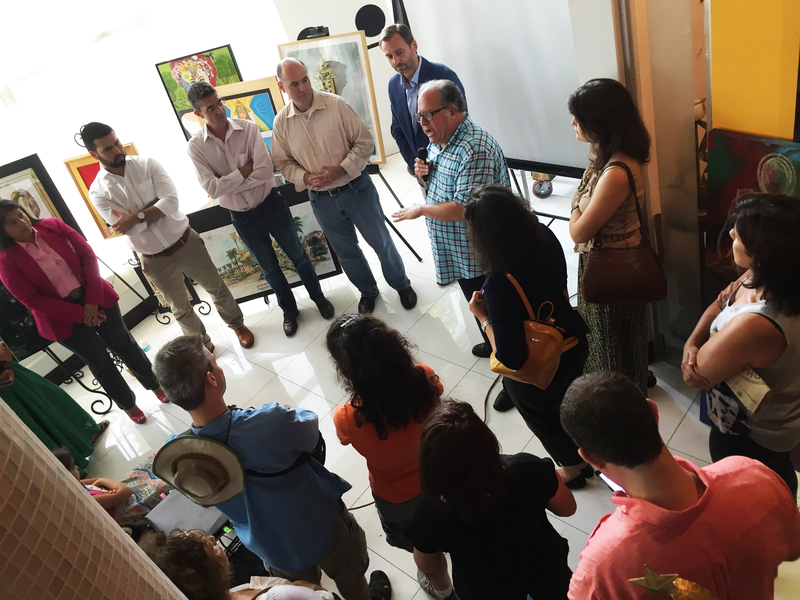 MIAMI – More than 100 Little Havana stakeholders crowded into the Futurama gallery space to share a vision for a better Calle Ocho during an open forum Saturday Oct. 17. A diverse group of urban and transportation design experts worked interactively with the audience to empower the growing grass roots movement for calmed traffic and a better pedestrian experience on SW 7th and SW 8th streets. FDOT will soon launch a $2 million study to redesign SW 8th and SW 7th streets, between SW 27th and Brickell avenues as well as their interchange with I-95. The overwhelming opinion of those in attendance, inlcuding three elected officials, is that Calle Ocho and SW 7th must be Complete Streets that serve pedestrians, cyclists and public transit equally with automobiles. Carlos Cruz-Casas, PE, Transportation Strategic Planning Group, Miami-Dade County Transit, spoke of a vision for “livable transportation” that serves pedestrians, bikes and transit – not solely automobiles. County Commissioners Bruno Barreiro and Xavier Suarez and City Commissioner Francis Suarez pledged to champion the cause of calmed traffic, wider sidewalks and economic prosperity for SW 7th-8th streets. 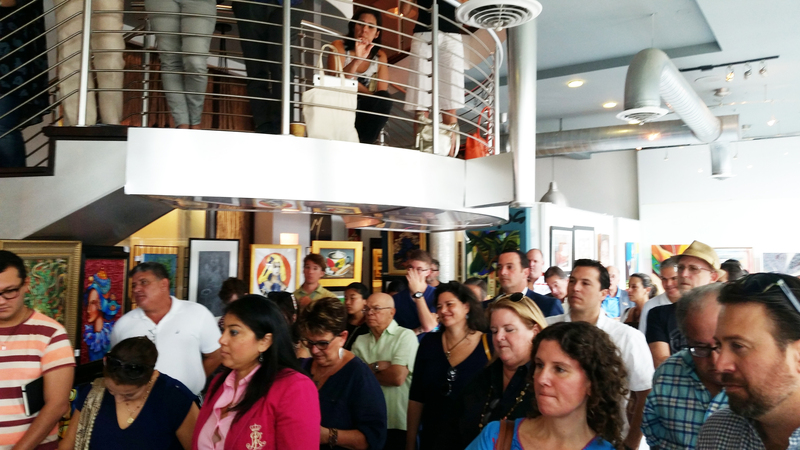 “This meeting is an historic turning point for Calle Ocho and Little Havana. From elected leaders to artists to everyday residents, this brought together more than 100 people who will work with thousands of their neighborhoods to transform Calle Ocho and SW 7th into complete streets that are safe, vibrant and walkable,” Juan Mullerat, APA, AIA Assoc., Plus Urbia Design principal and resident of Shenandoah.